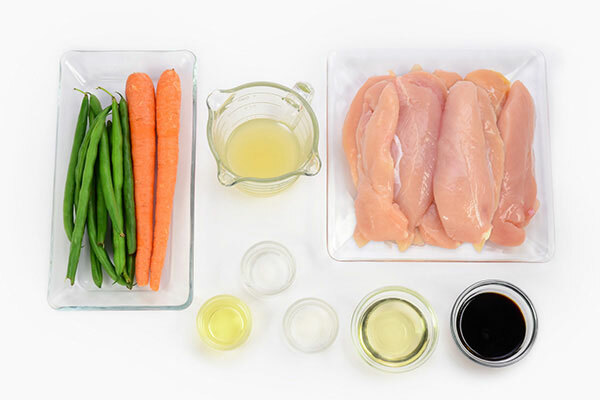 This fun chicken recipe will be the star at any table. 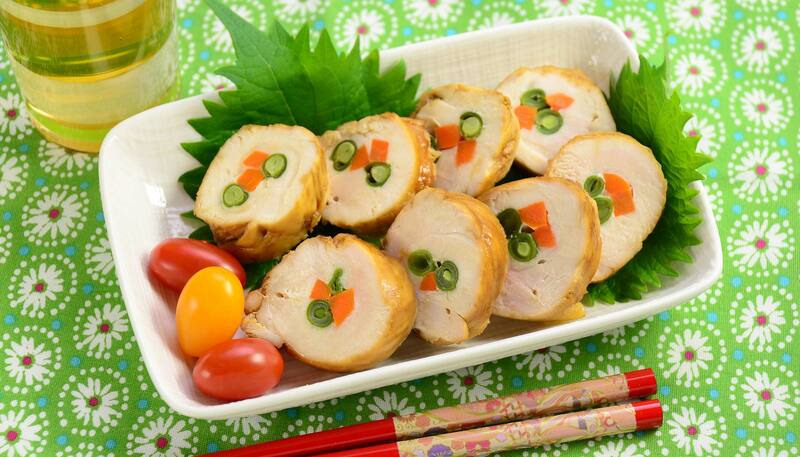 Carrots and green beans are wrapped with chicken and cooked in a Japanese style sauce. Slice it into disks and voila! Your fantastic appetizer is ready. Peel and cut carrot into 1/4” thick sticks. 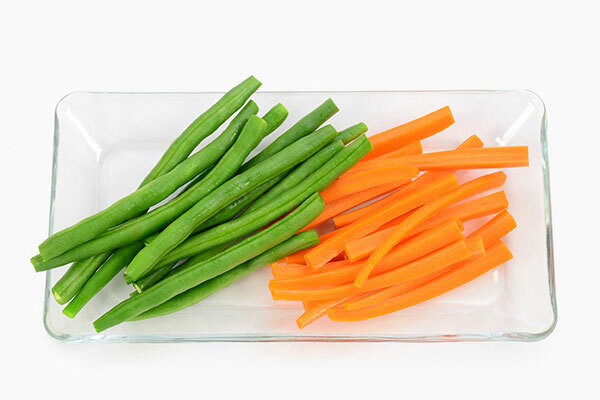 Cut off tips of string beans. 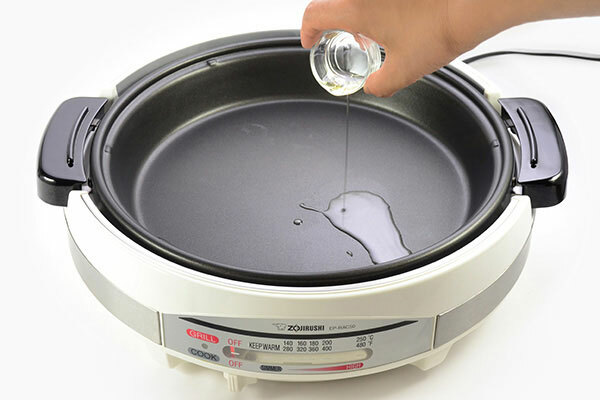 Fill the Gourmet d’Expert® Electric Skillet (EP-RAC50) with water until 1/4” deep (not included in the ingredients list). 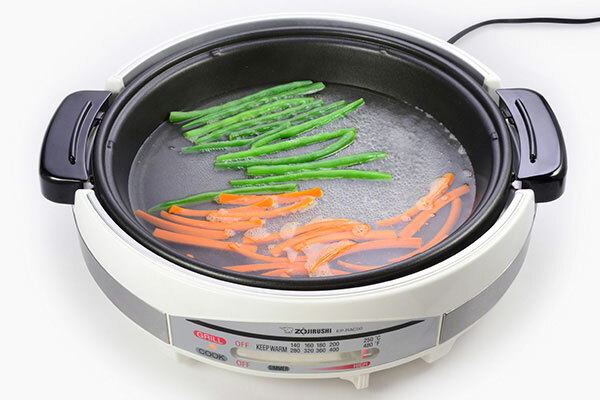 Add carrots, string beans and salt and set to HIGH (480°F). 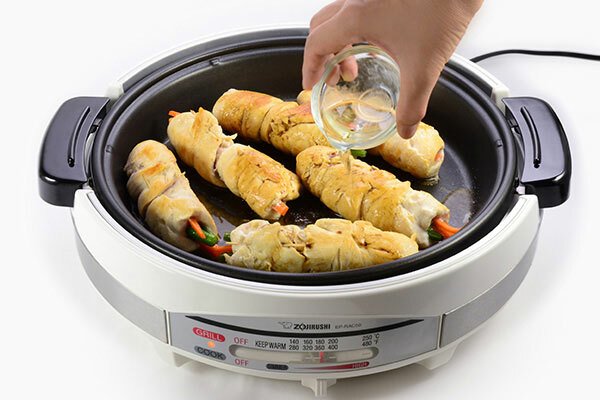 After water reaches a boil, cook for an additional 3 minutes. Turn off heat, transfer vegetables to a plate and set aside. Discard water from the pan. 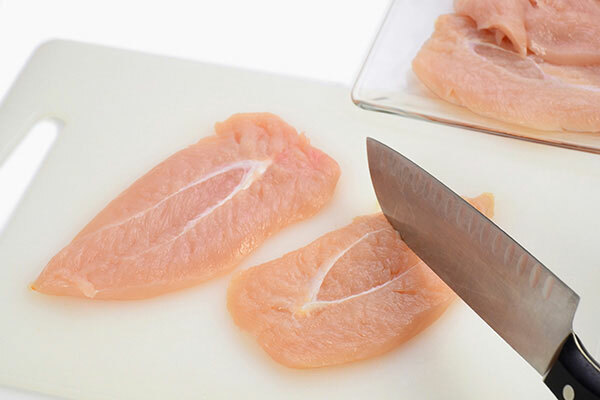 Flatten butterflied chicken by pounding with the back of a knife. 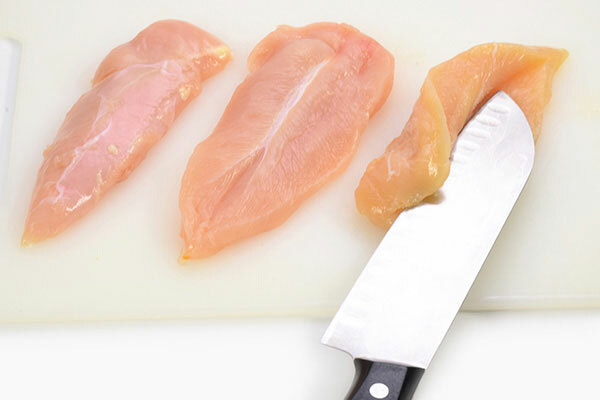 Lay out 2 chicken tenders, side by side. 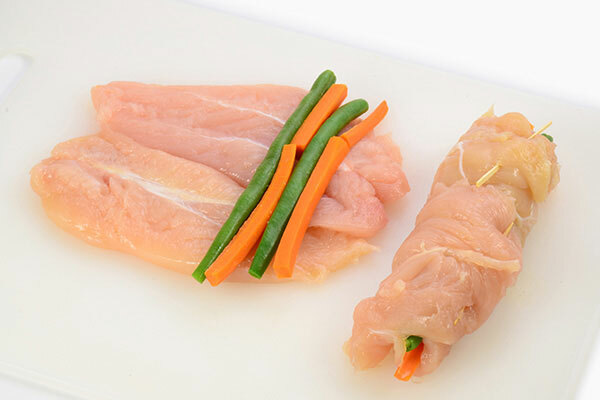 Place 1/6 amount of cooked carrot sticks and string beans, then roll up the chicken around the fillings. Secure each roll with toothpicks. 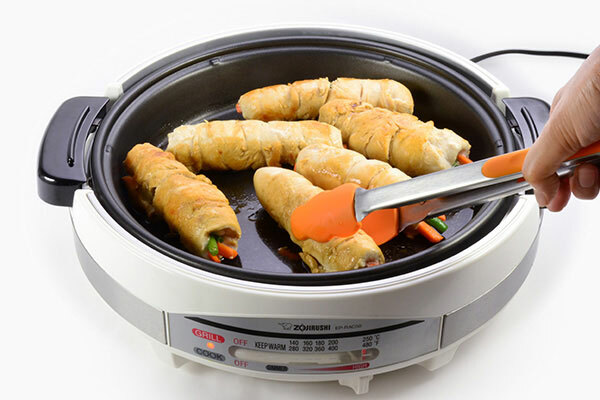 Repeat this step to make five more rolls. 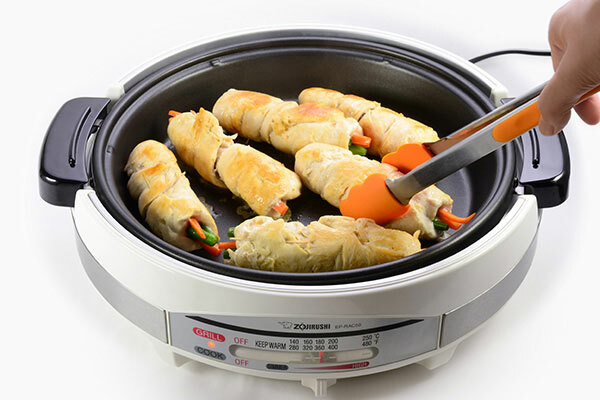 Add vegetable oil to the Gourmet d’Expert® Electric Skillet (EP-RAC50) and set to 360°F. 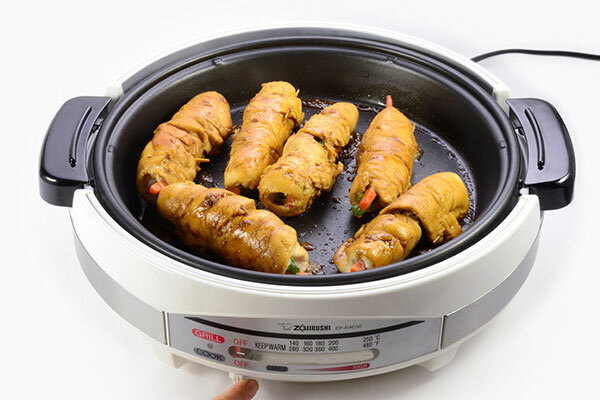 Place rolled chicken and cook for about 12 minutes. Rotate until entire surface turns golden brown. Add chicken stock, sugar, soy sauce, mirin to the pan. 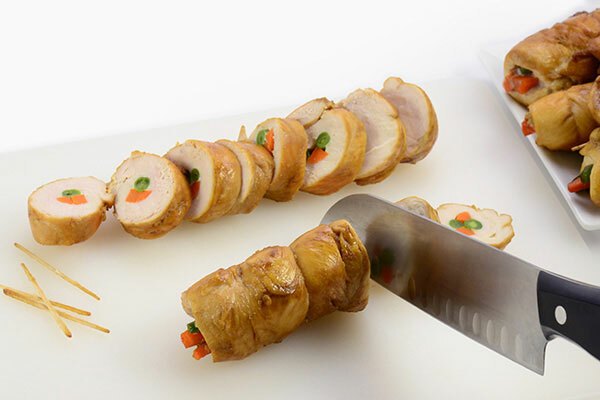 Increase temperature to HIGH (480°F) and turn rolled chicken often with a tong to coat with sauce. Cook until sauce thickens, about 3 minutes. Turn heat off. 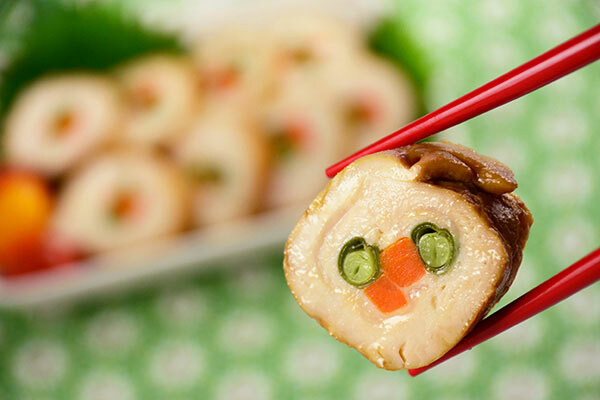 When rolls are cool to touch, remove toothpicks, slice into 1/2" thick disks and serve.